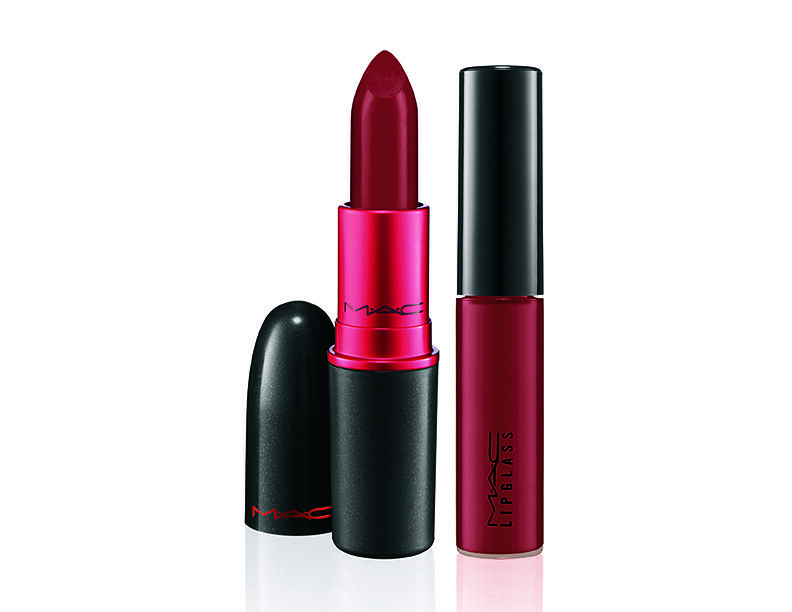 This season Viva Glam The Original is back in stores. This was the first bullet lipstick that created ripples of change and ignited a global charity campaign for HIV/AIDS. The fabulous RuPaul was the first face of VIVA GLAM in 1994. Ru Paul returns with her outspoken burgundy red Lipstick – now also available as a Lipglass. Every cent of the selling price of VIVA GLAM – The Original goes toward helping women, men and children living with and affected by HIV/AIDS. 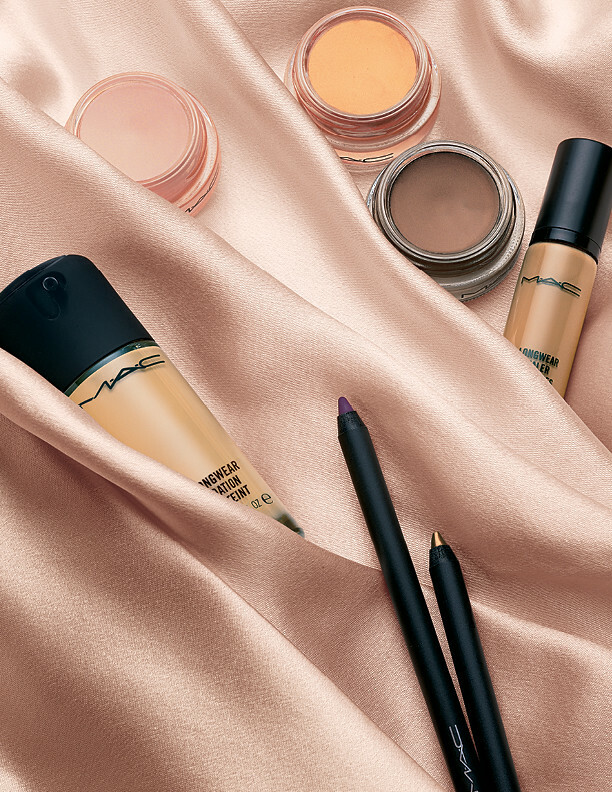 Pro Longwear for eyes returns in seven new shades. From creamy beige to brilliant blue-green and shimmering silver, Pro Longwear Paint Pots deliver highly dimensional colour with a luxurious finish. They apply smoothly and dry with vibrant intensity. 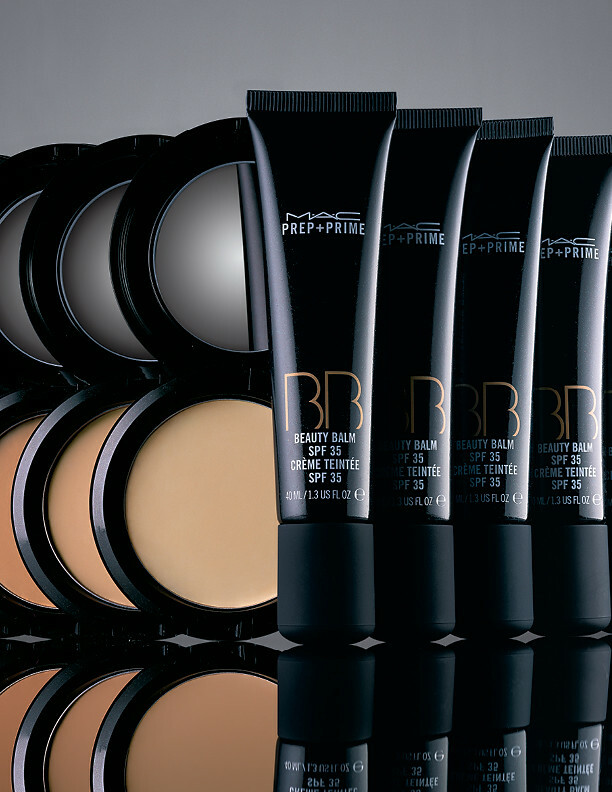 I love MAC’s Prep + Prime BB Beauty Balm. It evens out skin tone, blurs imperfections and enhances skin’s natural luminosity while shielding it from harsh UV rays. Available in an SPF 35 cream and a go-anywhwere SPF 30 solid cream compact. This mascara is a game changer for me. I’ve stopped wearing mascara because most are clumpy and difficult to remove. I’d been wearing false lashes more, but that looks inappropriate when I’m not on stage or on cam. But since I tried In Extreme Dimension Lash, I’m back to loving mascara again. 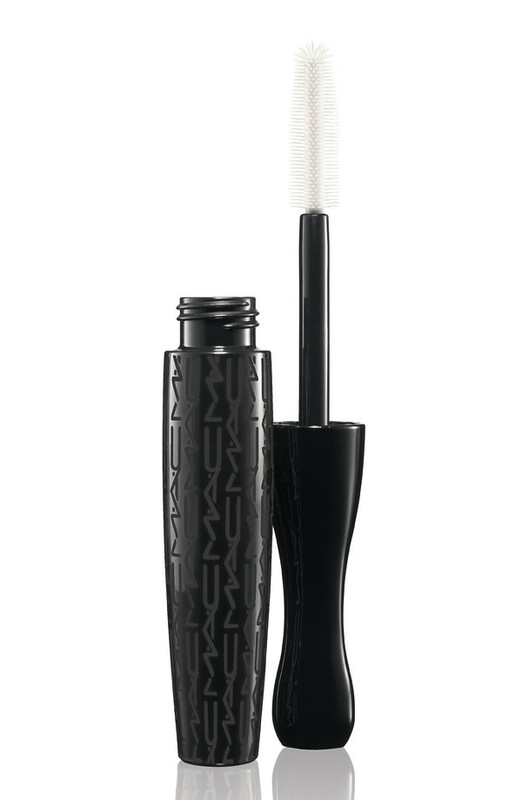 In Extreme Dimension Lash has a very black formula and is easy to apply. The mega applicator brush has rows of micro fibres weaving in between lashes to define and enhance. It is resistant to clumps, non-flaking, non-smudging. I love this mascara! I love this stuff! These huge bottles of light colognes will always remind me of my childhood and my mother. I remember growing up with these Spanish colognes in Manila. Then we moved to Canada and no one cared about baby cologne scents until we all got our first Calvin Klein eau de toilettes. Now that I’m a mother living in Manila, I find that light colognes are the best scents for daily use. My own mother splashes these scents after every bath and even before going to bed. And I have turned into my mother. I still love fancy perfumes. But these light colognes from Spain and France are something I can share with my little girls. 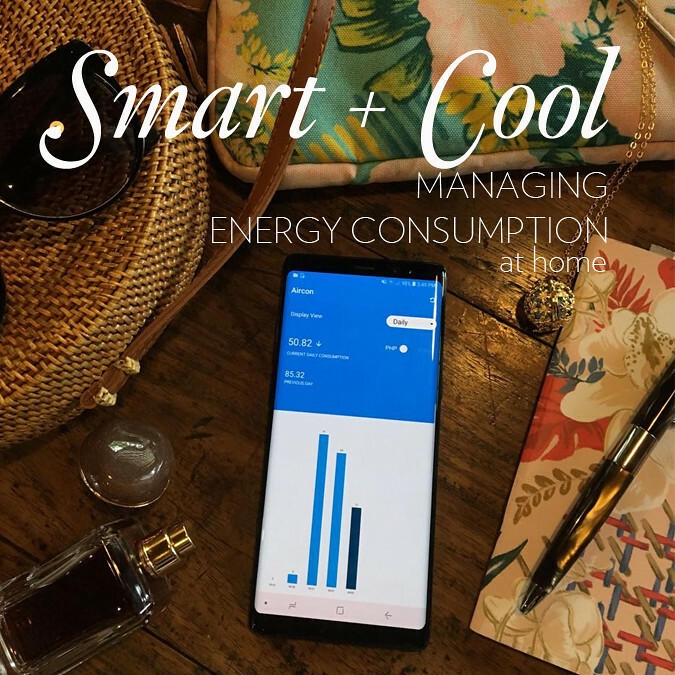 Rica de Jesus of Heart to Heart blog and of the Rustan’s family loved these light colognes so much that she and her husband brought in a few brands to share with the Philippine market. 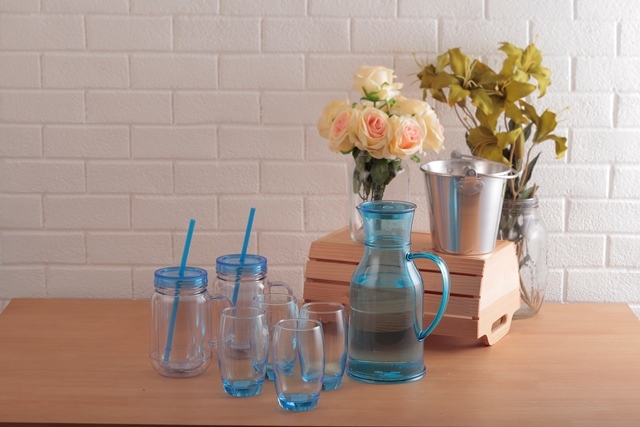 They are sold at very convenient spots like groceries, hospital shops and country clubs. See full listing below. The 750ml bottles are huge but reasonably priced below P300 per bottle. I like transferring them to smaller spray bottles and leave them in the car, bathroom, purse and baon for my kids in their school bags. 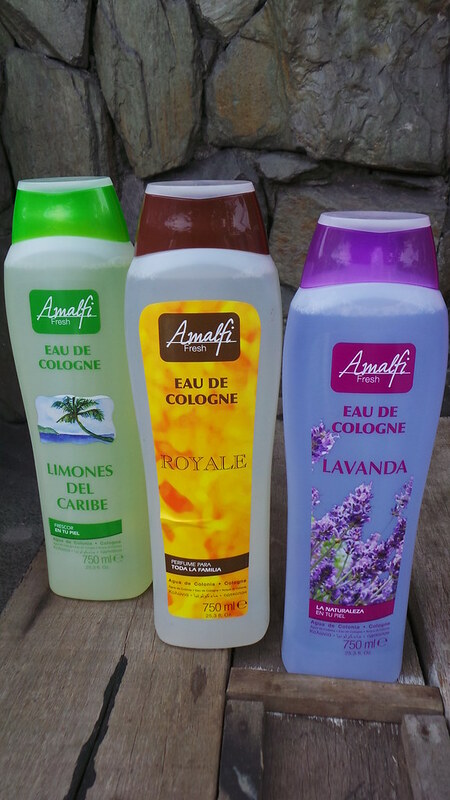 Amalfi Fresh Eau de Cologne in Limones de Caribe, Royale, Lavanda, and Baby Fresh (not in photo). 750ml each P245. 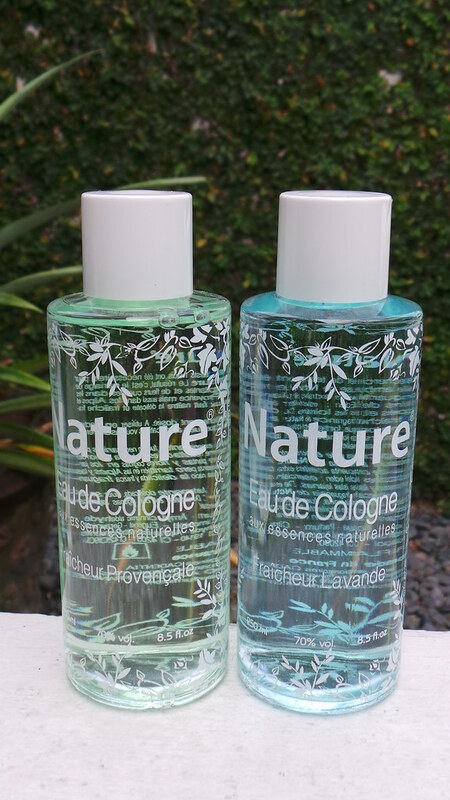 From left to right – Cadentia L’eau des Colins eau de cologne in Naturelle scent 50ml glass bottle with spray only P225. This is my favourite of all the light colognes here. It is staying in my purse. 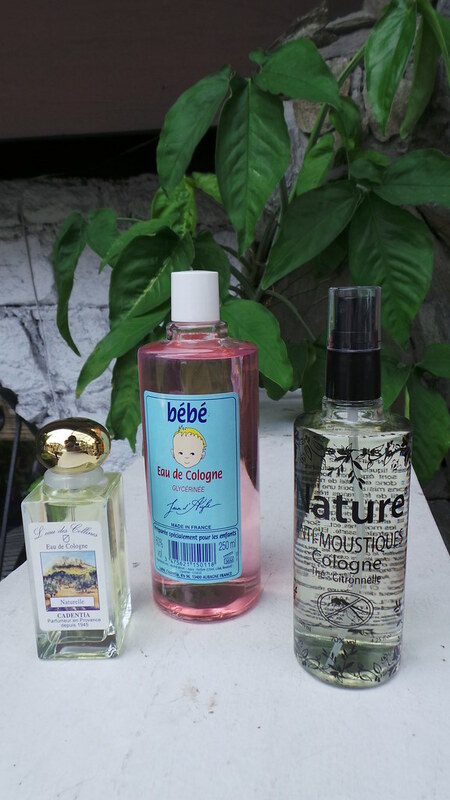 Bebe eau de cologne with glycerine 250ml glass bottle P295. And perhaps the most relevant scent for us in the tropics facing the threat of dengue fever, Nature edc AntiMoustiques 125ml spray for P275. 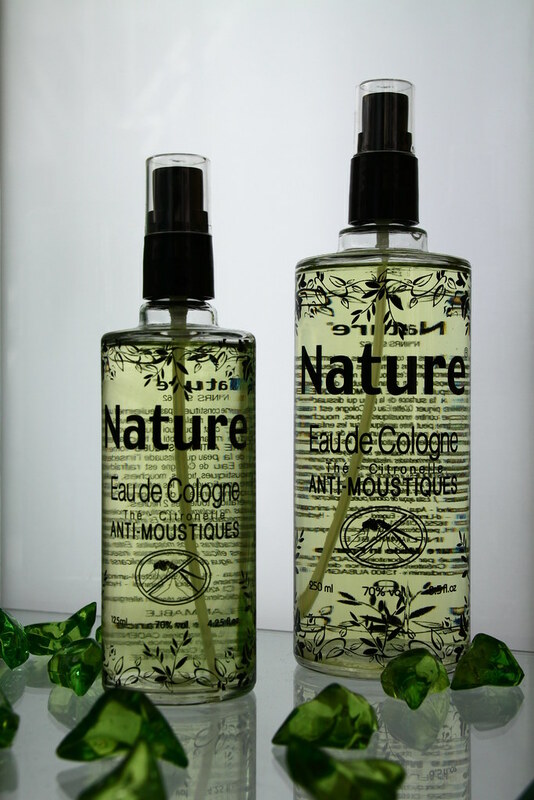 Nature anti-mosquito eau de cologne. This is a refreshing eau de cologne with essences of tea and citronella, enhanced by a strong repellent. Very effective against biting insects and suitable for children from 36 months and above (do a patch test first). All these scents imported by Jaric Marketing Inc are available at — Rustan’s Supermarket, Shopwise, Robinsons Supermarket, Saddlebrown Manila Polo Club and Rockwell Club, Mpulse Makati Medical Center, Rustan’s Flower Shop and more at St. Lukes Bonifacio Global City and Quezon City. Do these light colognes bring back some childhood or teenage memories? 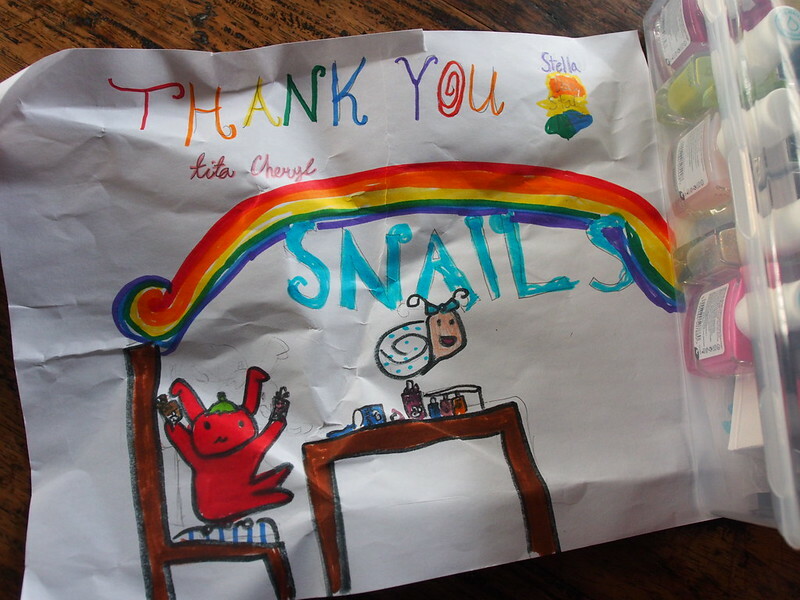 I’m curious to know what scents you grew up with and what memories do they evoke? Share your stories with me. Leave a comment below. Last week I visited Manila FAME to personally thank some of our donor artists who gave generously to UNICEF’s Auction for Action. I was lucky to run in to many of them who were not only showing but also shopping. I am posting links to their donated items in our ebay site. However by 8pm today October 27th, the links will not be active. Talk about a great photo op. 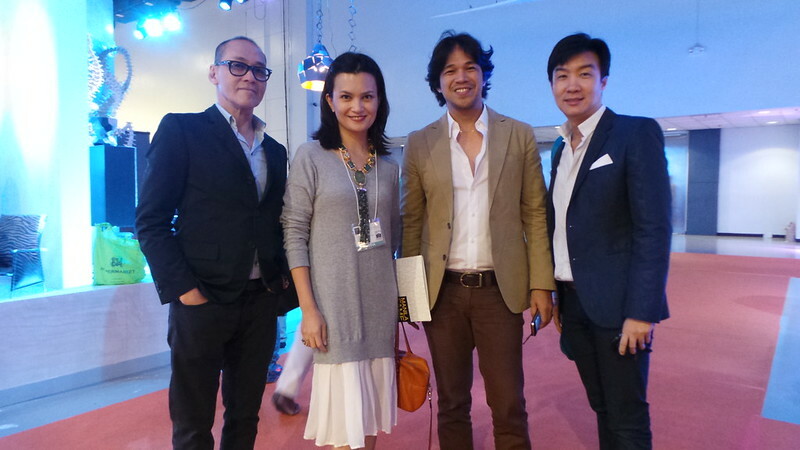 Ran in to Royal Pineda (middle) and Kenneth Cobonpue then pulled in Budji Layug from another aisle. 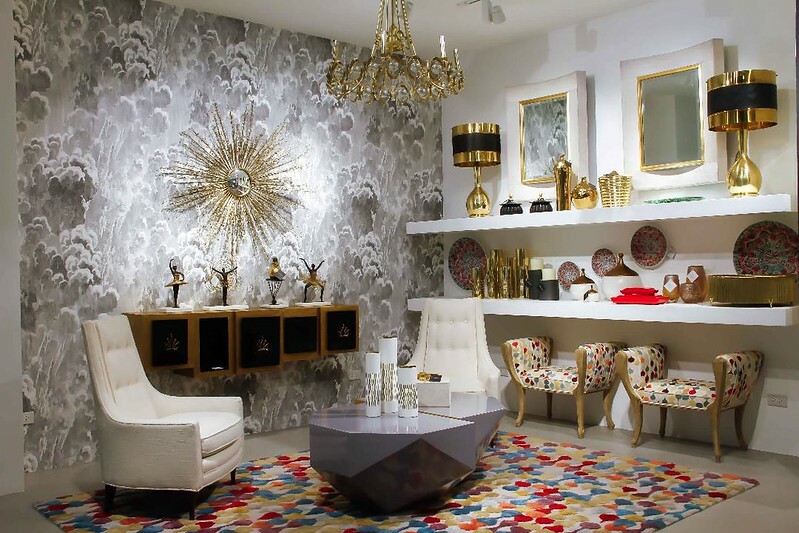 They are the rockstar triumvirate of contemporary Philippine design. 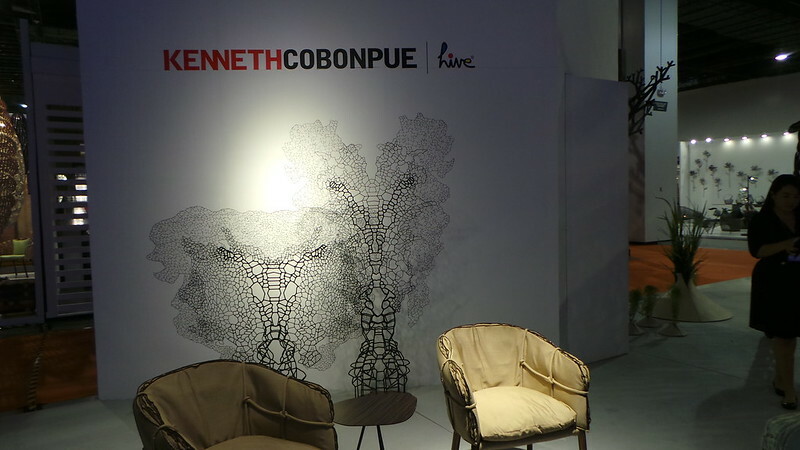 Kenneth’s donated piece, a sculpture called Coral, gets introduced prominently under his logo. 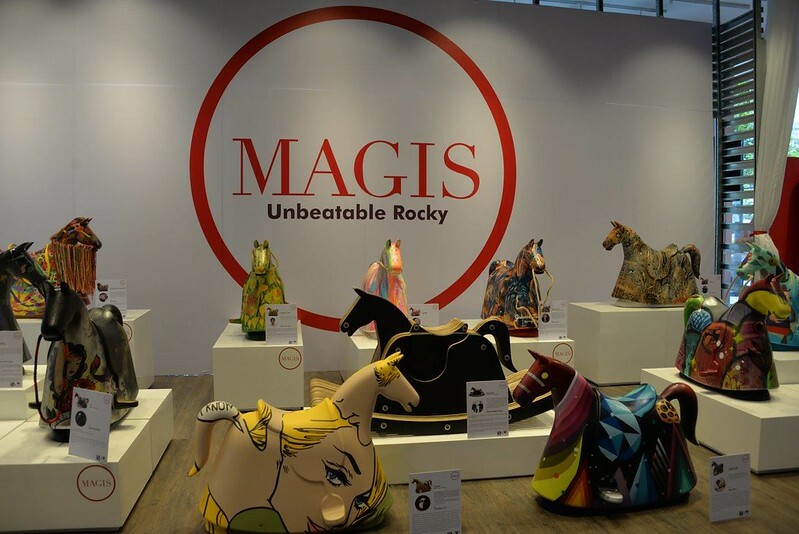 It first debuted at our UNICEF Auction for Action press preview at Yuchengco Museum early this month. You have a few hours to bid on this Coral sculpture here. Hurry, it’s still priced below retail. 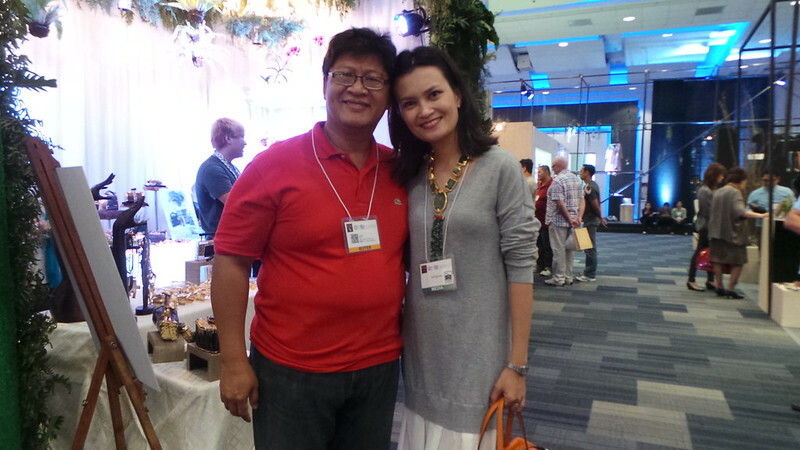 I met Randy Viray, owner of one of my favourite stores, Triboa Bay. 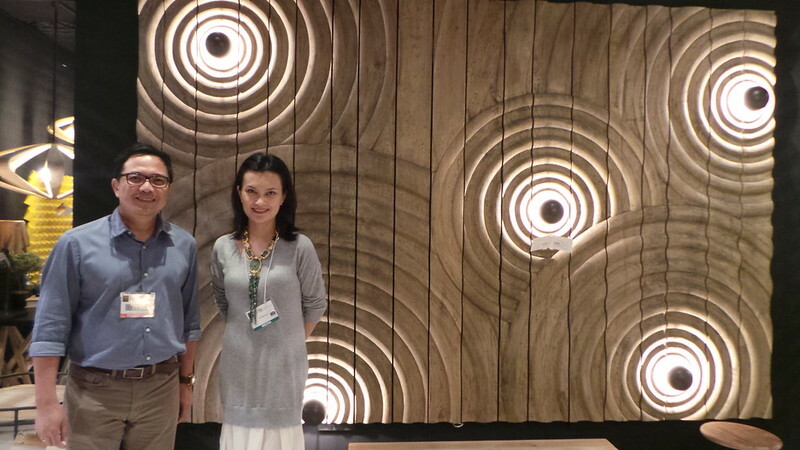 Randy showed me this beautiful wall sculpture made of wood. He donated a smaller version of this to our auction. It is around 40×40 and it is stunning! Bid for Ripples wall art here. This year’s Katha Awardee Vito Selma and the table that won him the award again. He gave us the UN (one) cocktail table. Post your bids here. The lovely Nicole Whisenhunt and family friend Isa. I love the bag she gave Auction for Action. It’s the Amaranthine clutch. 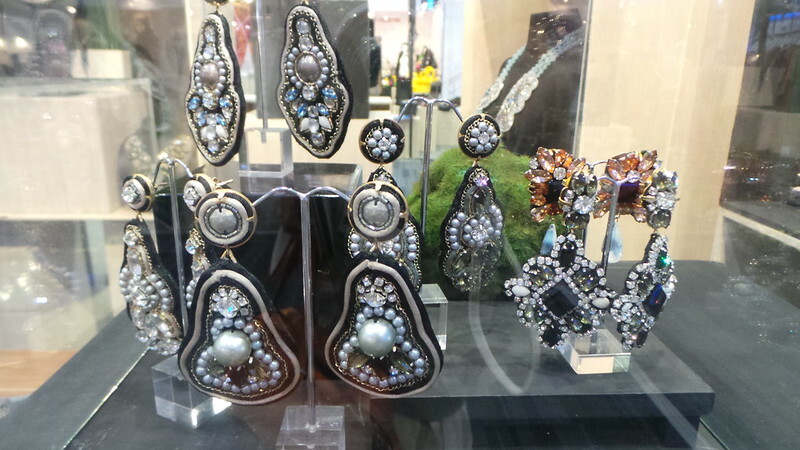 Nicole Whisenhunt’s new collection of handcrafted earrings. Joyce Makitalo and Hindy Tantoco in a playful pose. Joyce’s donated piece, the Bourbon pendant and necklace, can be bid on here. 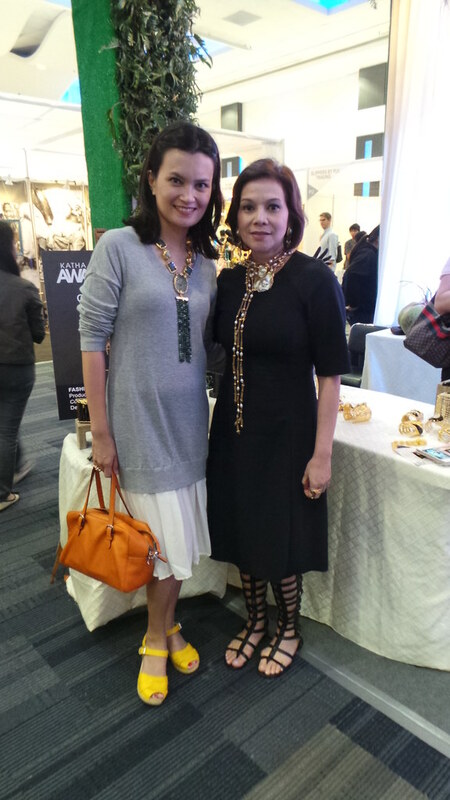 With Ann Ong who won the Katha Award for best design in jewelry/accessories again. It’s her third in a row. 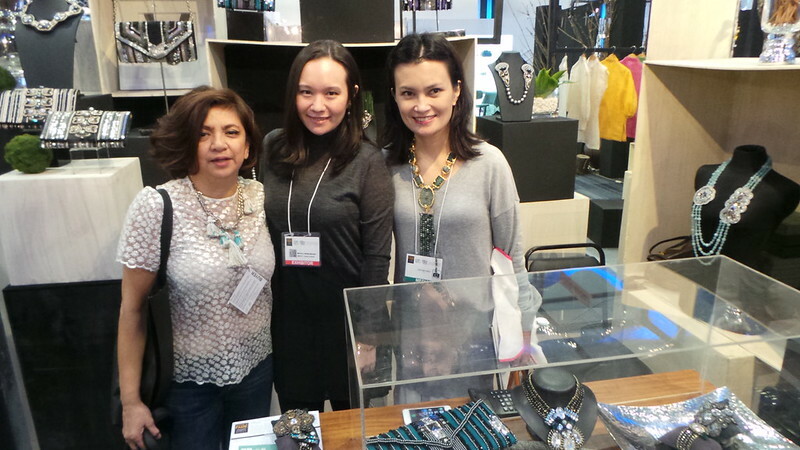 Ann donated two valuable pieces to UNICEF – the Binanig clutch and Tamburin necklace. 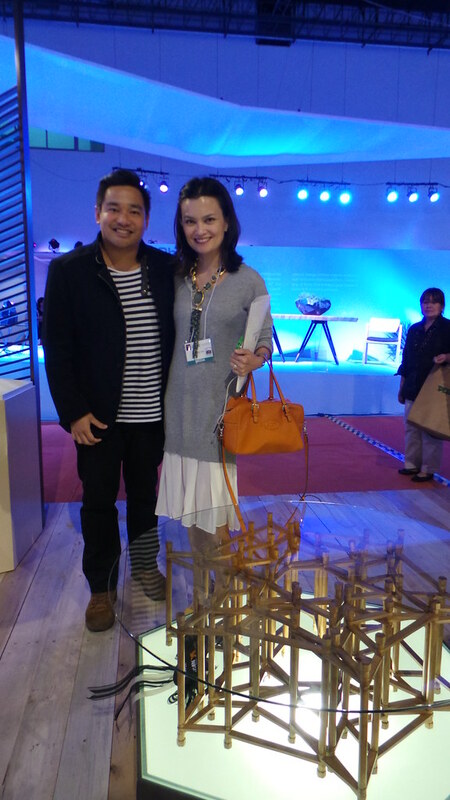 Bumped in to my friend Danny Rayos del Sol who had given UNICEF his carved ostrich egg lamp. You should see it — Laro. 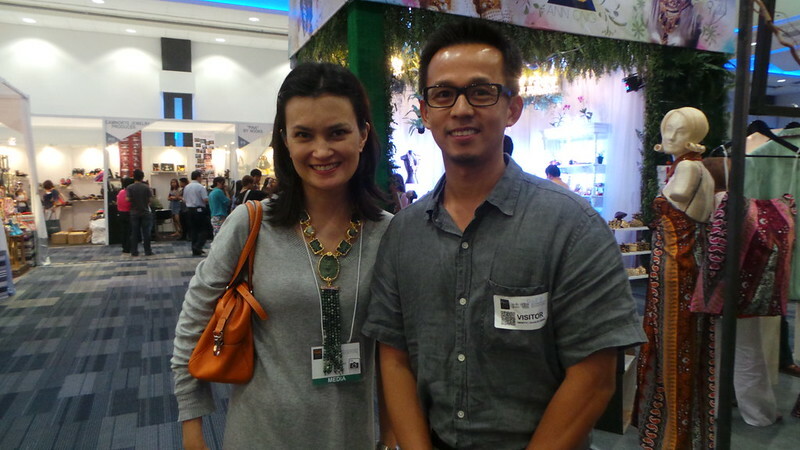 Met Gregory Raymond Halili outside of Facebook. Gregory is a miniaturist painter whose works have been shown and continue to be shown in the US. The water colour paintings he gave UNICEF are about the size of one inch square. The Portrait of a Woman from the Cordilleras is so incredibly detailed. The other painting from this series is part of the Ben Cab museum in Baguio’s permanent collection. The other one, Serenade (Guitar and Moon) is even smaller than the Portrait of a Woman. It is only 1 inch x 1 inch. 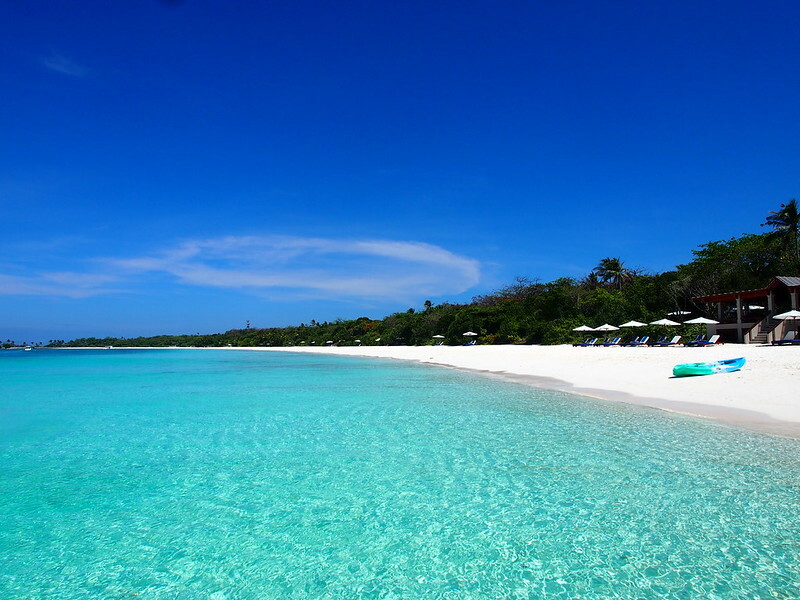 Bid on Serenade here. 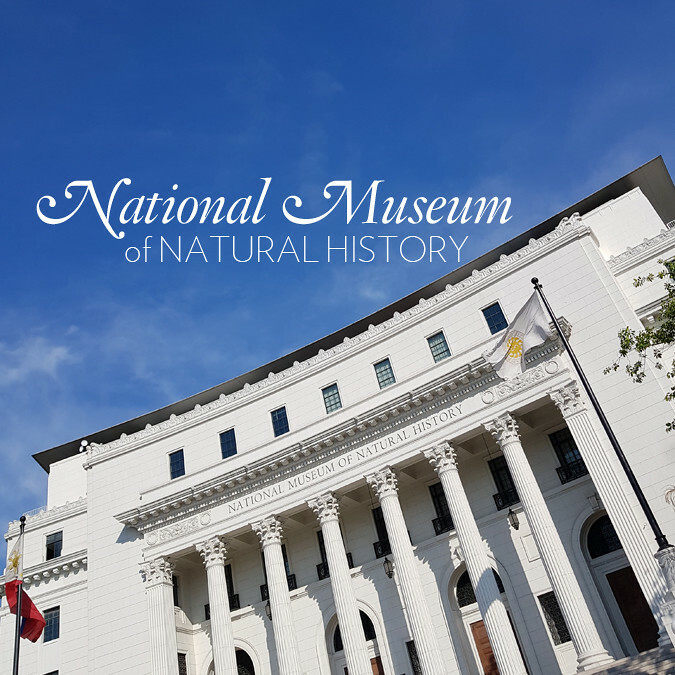 I also saw Rita Nazareno of SC Vizcarra and Paul Syjuco but forgot to take photos. Rita’s piece in Auction for Action is this Donovan bag. And Paul has two necklaces in the auction lot – Building Blocks and Amorphous. This is the third year I’ve done Auction for Action with our UNICEF team. Let me tell you, it is a labour of love. From inception to the actual auction. 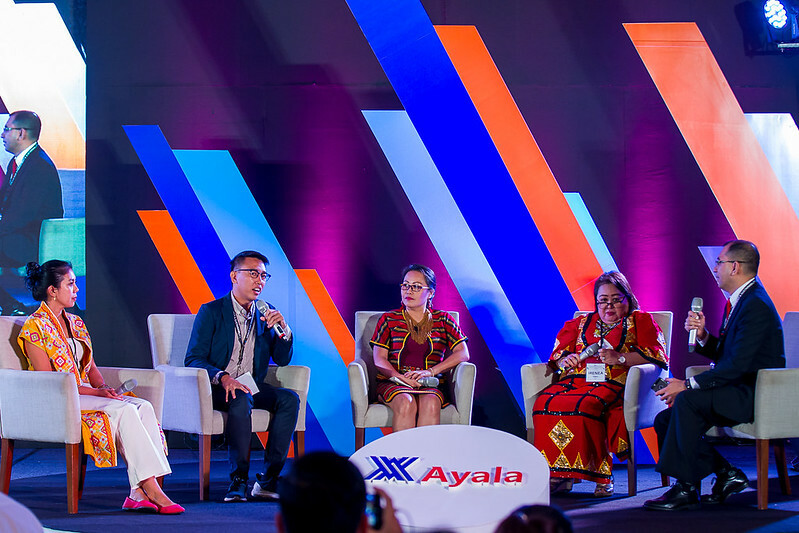 Everything was based on goodwill and the willingness to help – from the generous artists, to every member of our team who goes the extra mile, to the partners we met along the way with their will to collaborate, to all the bidders who love the art pieces and have the heart to help children in the Philippines, to my simple love and respect for the works of the artists and children – all coming together to do good things. I hope you can support Auction for Action by telling your friends that this is the last day to bid. Not all the pieces are expensive. 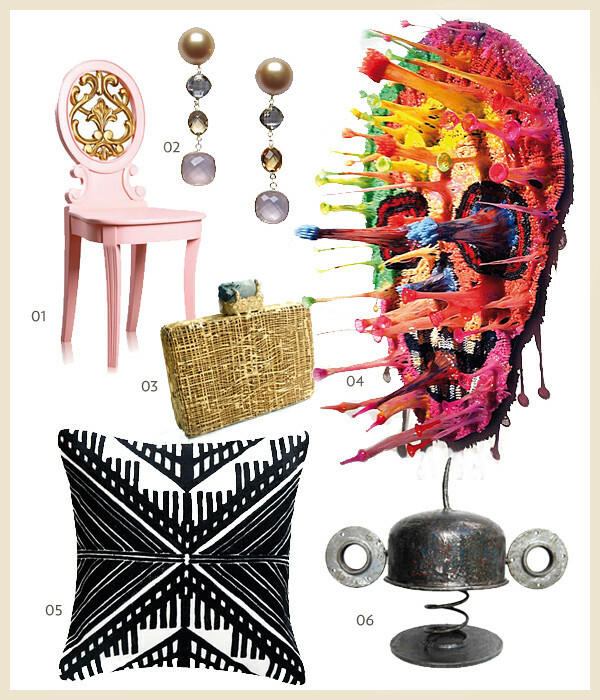 We have awesome pieces for as low as P2,000. So please spread the word by pressing the Twitter and Facebook buttons below. Thank you. Remember the Kohler 140th anniversary party in Kohler, Wisconsin? 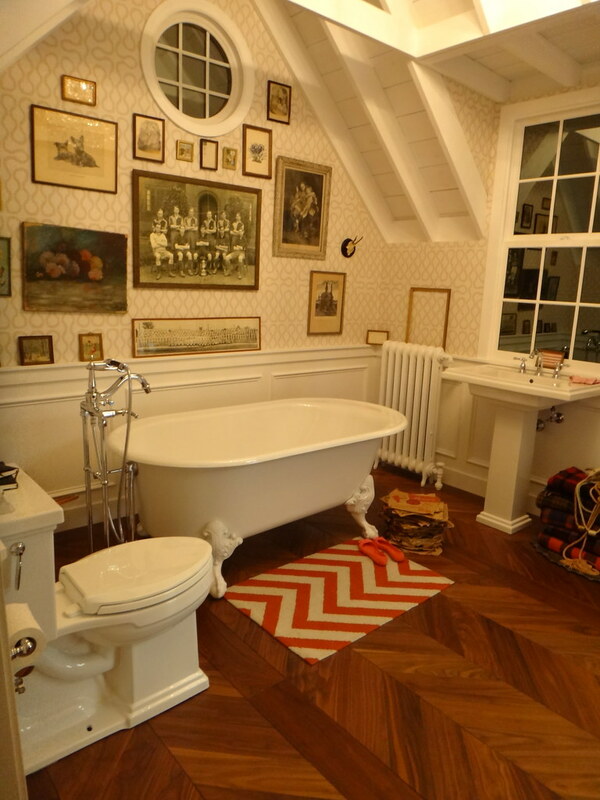 I really love traditional classic-looking bathrooms. I’m obsessed. 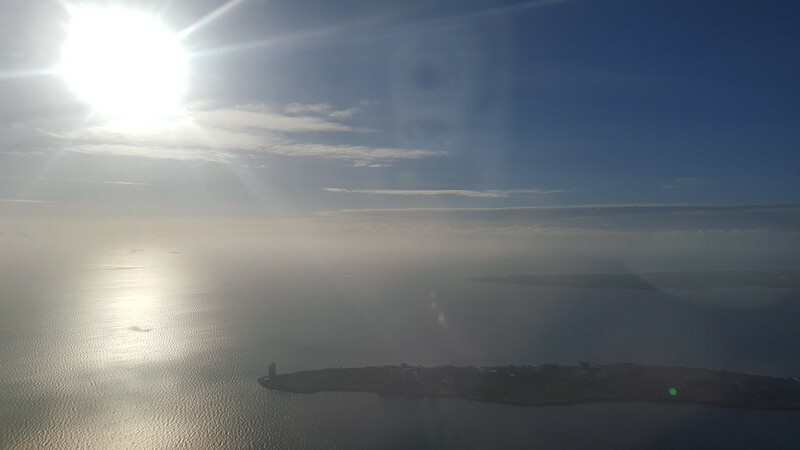 Last spring, I was able to immerse myself in the world of Kohler – in New Orleans, Chicago and Wisconsin. There I saw all the models of Kohler toilet and bathroom fixtures. I also got to see their original factory and witnessed how the toilets, bathtubs and sinks are still being made the same way it was done with the artisanal touch of human hands updated with robotic technology. Even before I had a professional relationship with Kohler and they sponsored my cast iron kitchen sink, I had already been a fan. Our bathroom is fitted with vintage-looking Kohler fixtures. 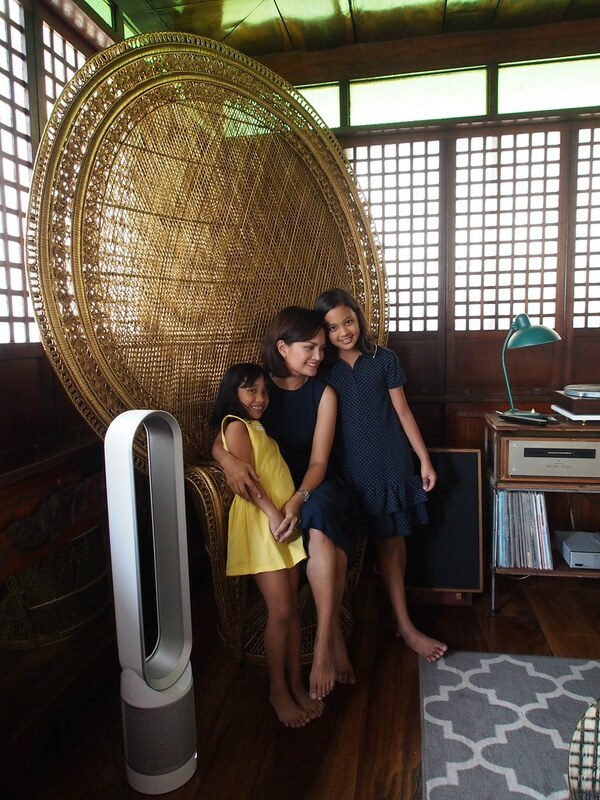 So it brings me so much joy to be able to share this wonderful world of Kohler via our Auction for Action to benefit Unicef programs in the Philippines. 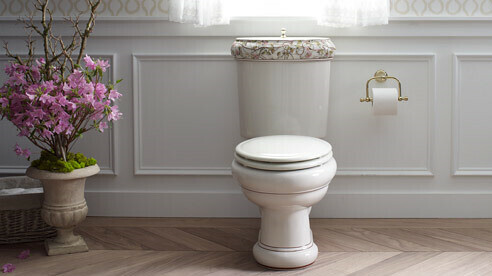 Kohler has generously donated an Artist Edition toilet and countertop accessories. You can view and bid here til October 27th. This is our tiny bathroom which I renovated in 2008. 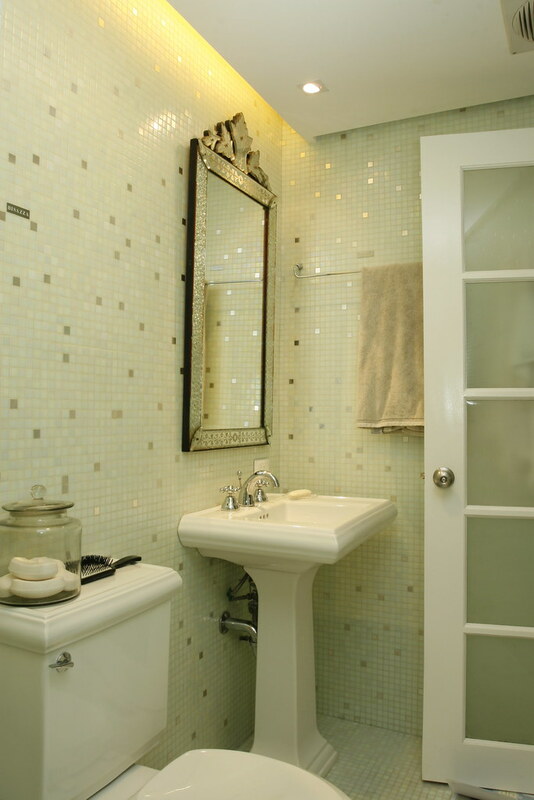 I used Bisazza tiles all over the walls and floor. Then I had to have a vintage-looking pedestal sink so I chose Memoirs, which meant I had to get the matching toilet. And yeah, you can see the pipes from this angle. Our mirror is my mother in law’s antique piece. 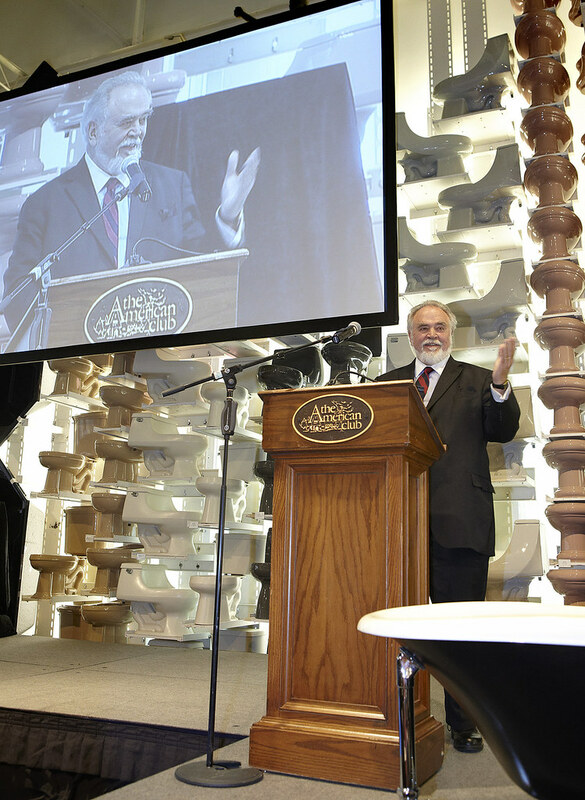 Last April 2013, the chairman and CEO of Kohler Co., Mr Herbert Kohler, Jr. on stage at the 140th anniversary in Kohler, Wisconsin. Behind him is a wall of toilets representing the heritage of their family business. 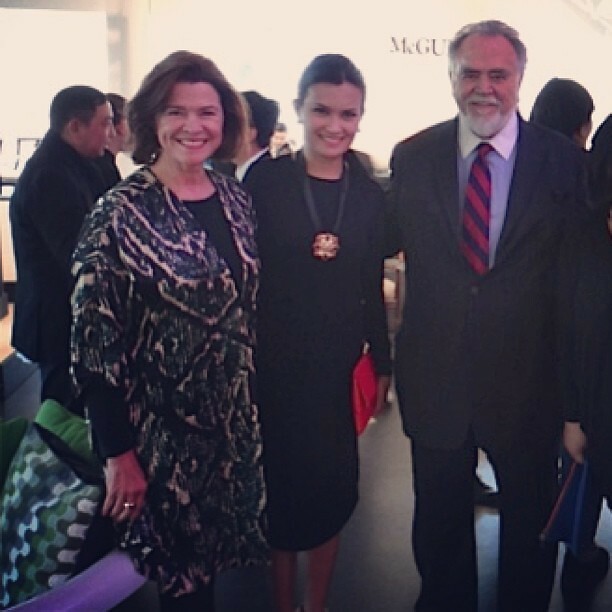 I got to meet Mr Kohler and his wife Natalie at the Kohler anniversary party. 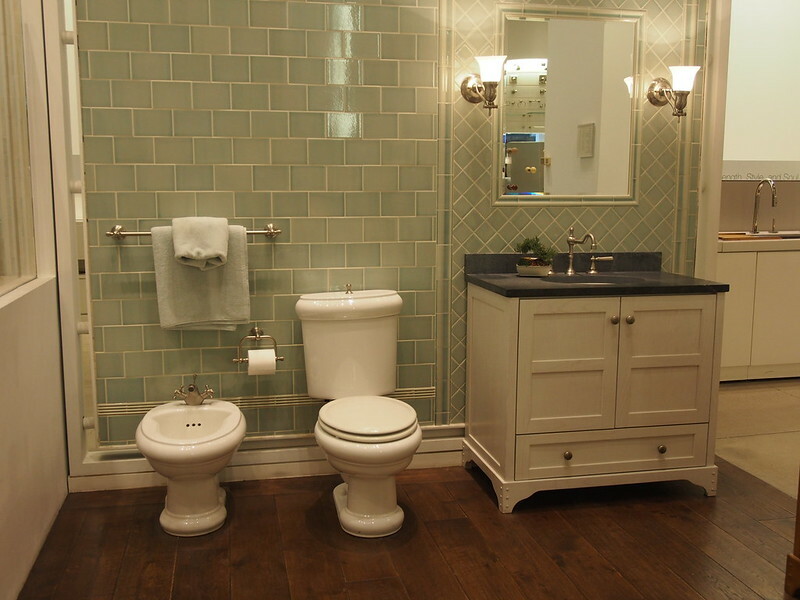 More traditional-looking bathrooms from the Kohler showroom in Wisconsin. 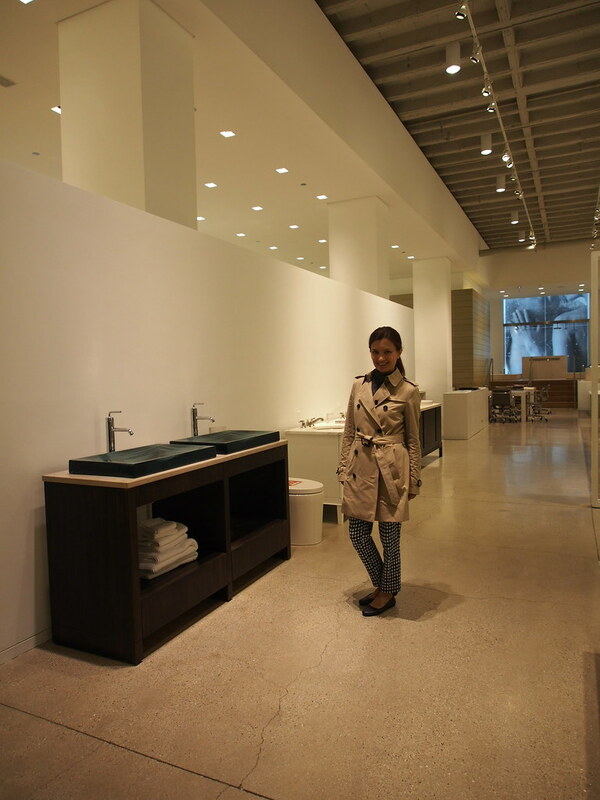 At the Kohler store in Chicago I got to see a wider range of modern and contemporary styles. But I still gravitated towards the pretty traditional set called Revival. Is this pretty or what? 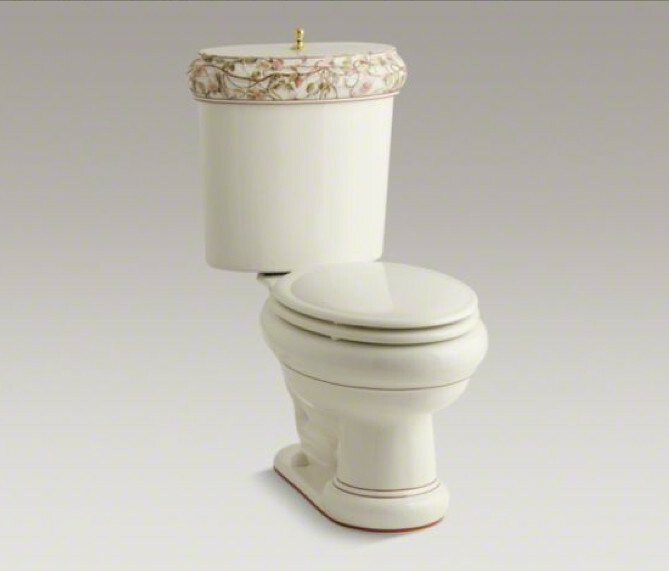 Bid now on this Kohler Artist Edition Briar Rose toilet and countertop accessories. The price is way below retail price. Links will take you to our Unicef eBay site. It’ll stay live til October 27th at 8pm Manila time.